Brendan Jackson Rogers" Bubba the Redneck Werewolf (2014) just dropped a new poster for this comedy horror movie . I think the poster has real character and gives a nice nod to the original comic book series. Bubba the Redneck Werewolf is based on the comic book series by Mitch Hyman. 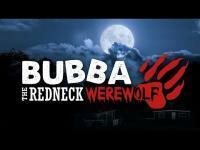 Fred Lass, Malone Thomas, Gary Norris, Sara Humbert, Chris Stephens, and Gail Fleming star in Bubba the Redneck Werewolf. Synopsis: Cracker County is under attack and lovesick dog catcher Bubba Blanche has been transformed into a ferocious, cigar smoking Werewolf in order to save the day. But first he"s got to conquer a beer or two. And maybe a plate of chicken wings.